It's a given that Scots like a wee dram, or at least we're supposed to. But whatever your disposition towards the "water of life", Scotch whisky provides a lot more than just a drink. The industry has given us plenty of inspiration for furniture, decor, glassware and much more to bring character to our Laird's manor. 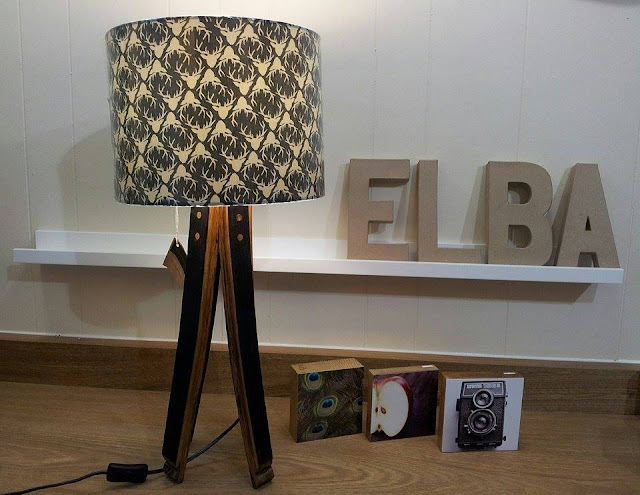 These items are made near Glasgow by a husband and wife team, Reza Wood Designs. They take old whisky barrels and give them new life as useful home furniture. 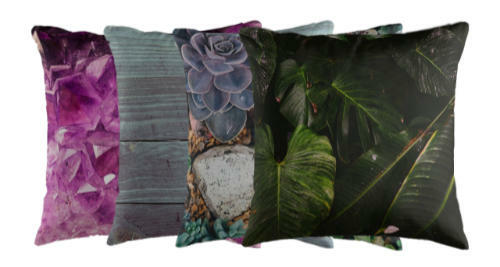 We ♥ these so much! This little table, like the others in this list, is made from upcycling a retired Scotch whisky barrel. This clever use of something that otherwise might be thrown away will go well beside your sofa -- to hold your whisky glass? 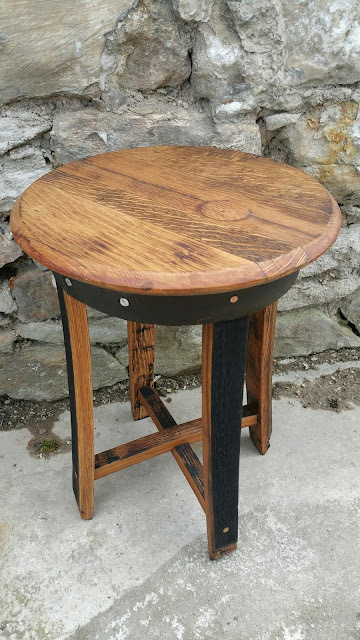 Buy the Whisky Barrel Side Table now on Etsy. There is something so characterful about this beautiful wall clock made with a couple of incredibly Scottish ingredients: whisky barrel wood and Harris Tweed. 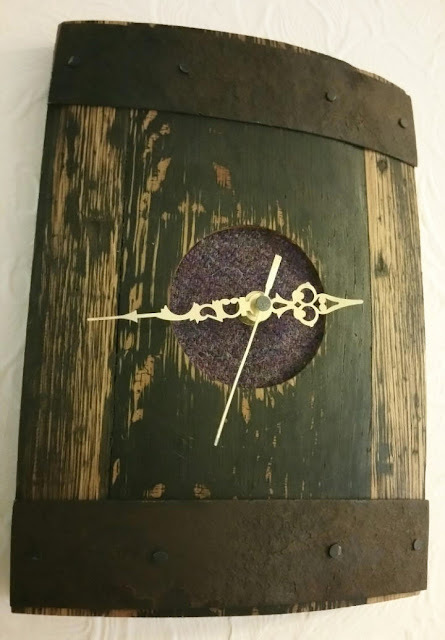 Buy the Whisky Barrel Wall Clock now on Etsy. Buy the Barrel Stave Lamp Stand now on Etsy. Liked what you saw? Find more at Reza Wood Designs on their Etsy shop!